Domesticas Unidas needs your collaboration to continue helping domestic workers through our different programs. 100% of every donation goes directly to our organization. We deeply appreciate your support! Join us for all of our events this month. We hope to see you here! Since our establishment on October 12, 2012, we have worked towards our goal of empowering domestic workers in San Antonio, Texas and its surroundings. Our 168 members include women who clean houses, care for children, and provide for the sick and elderly in their homes. Our organization's work began at the bus, while we were on our way to our jobs and we were hearing the painful stories of the abuses that domestic workers faced every day. Low pay, long hours, psychological and physical abuse, and even sexual assault. Through a survey, we identified the needs and concerns of local domestic workers. 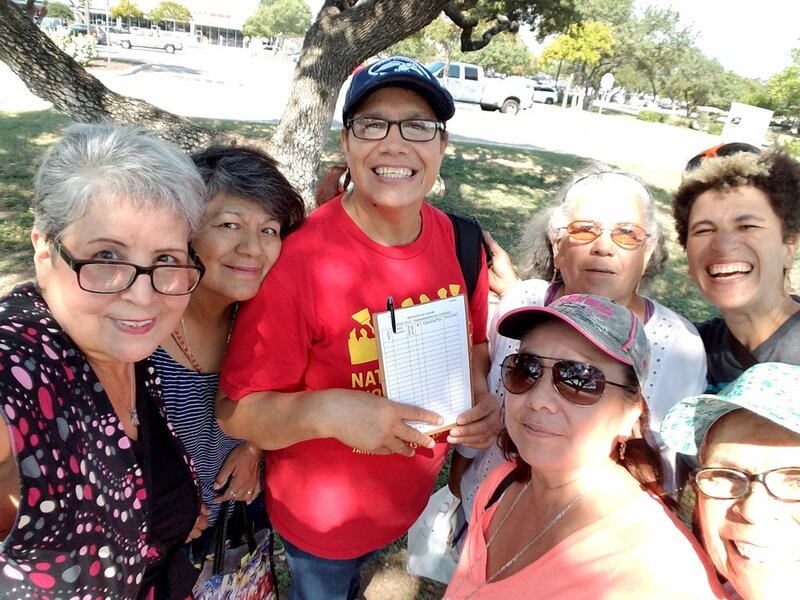 If you are a domestic worker in the Texas area, sign up to become a member of Domesticas Unidas. Araceli and Irasema, along with volunteers and community members, work hard to support and empower domestic workers in Texas. As founder and director of Domesticas Unidas, Araceli uses her own experience as a domestic worker in all of the projects carried out at Domesticas Unidas. She has been an activist for many years, always fighting for women's rights, not just in the workplace, but at home, at church, and everywhere else. As lead organizer of Domesticas Unidas, Irasema helps coordinate all the activities of the organization. She was one of the group's first members and has strong leadership skills. Irasema has offered training and workshops for domestic workers and continues to do so on a monthly basis. One of our main goals at Domesticas Unidas is to help domestic workers get jobs. We encourage them to visit our office not only for workshops and monthly meetings, but most importantly, to give us their information and availability to work. Each worker that visits us writes this down on a given piece of paper which is then placed on our bulletin board for potential employers to select from. We want our workers to find jobs that provide them a safe environment where their rights are respected as well as where they are paid a fair wage. In order to empower our members to speak out, feel knowledgeable, process trauma, and take leadership, we have developed a series of workshops to respond to our members' needs and grow our movement. Each workshop focuses on different topics such as elder care, child care, the use of household non-toxic cleaners, negotiating pay, and many others. With every workshop, we are teaching these women their value as housekeepers and that whether citizens or not, they have rights to a safe workplace, fair pay and to be treated with dignity. We stand with our immigrant community! Our struggle against the unjust persecution of our immigrant community. 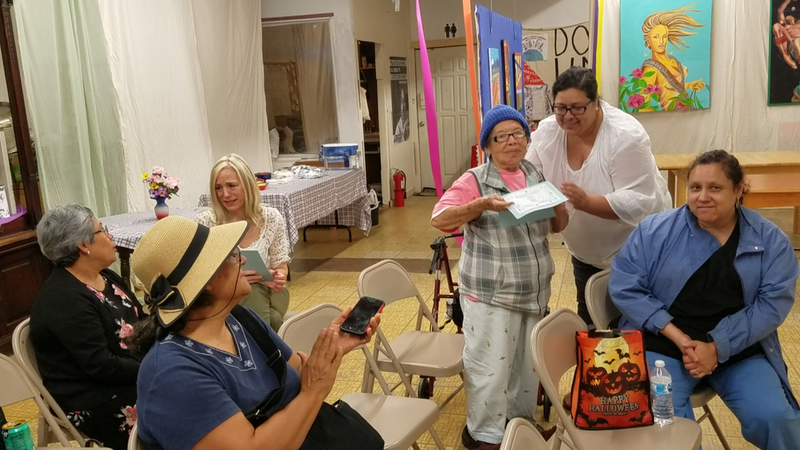 This campaign brings together domestic worker organizations throughout the country, alongside our community allies, to raise awareness about the US Department of Labor rule that ensures federal minimum wage and overtime pay protections for direct care workers. This information is invaluable to our members, as it affirms for them their rights to fair compensation, protection from abuse, and freedom of entry and exit from the workplace. We are helping to raise awareness about these new rules with more and more domestic workers through community events, outreach, and the collaboration with different Texas cities. The National Domestic Workers Alliance launched this campaign in 2013 with the goal of ending human trafficking of domestic workers. Beyond Survival focuses on lifting up the experience and vision of trafficked domestic workers. This campaign tells stories of leadership and policy change led by domestic workers who are trafficking survivors. Here at Domesticas Unidas, we are eager to participate in the Beyond Survival campaign and build the leadership of our members who are trafficking survivors. We would like to invite all of these members, and other members who have experienced trafficking to participate in leadership development activities and eventually become trainers, public speakers, and/or advocates assisting other women. Our art workshop in prep for our 5th anniversary celebration, our outreach work, and our work against human trafficking.